A successful summer for Park’s 7s team. Drinkin’ Park, the 7s affiliate of Lincoln Park RFC, has just finished off its 2016 summer season, participating in five separate tournaments and coming home with three tournament victories. Drinkin’ Park got off to a fast start by winning its first tournament of the season. 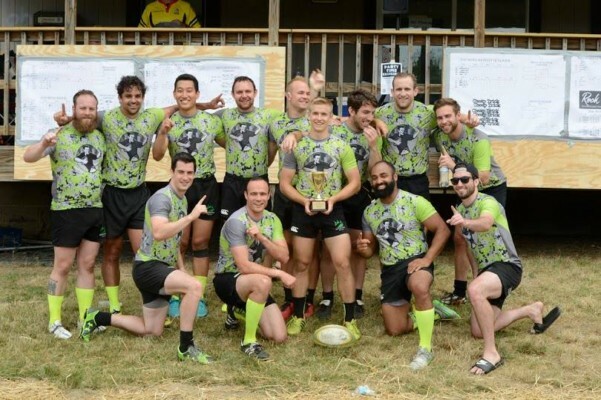 On June 11 at Jailbreak 7s in Joliet, Illinois, Park went undefeated on the day, ultimately edging out the Iowa Select Sevens side in a close-fought championship match in blistering heat, largely thanks to some newly implemented structure and strategy on both offense and defense. A week later, Drinkin’ Park kept the momentum going at the Highland Games in Itasca, again rolling through pool play undefeated before finally taking home the hardware by way of a Krakens forfeit. Lincoln Park’s more “robust” Eatin’ Park side also competed in the tournament, although its results did not properly reflect the valiant effort, superior showmanship, entertaining style of play, and attempted drop-goals for which Eatin’ Park is so widely known. At Shipwreck 7s at Chicago’s Schiller Woods the following week, Park made its way into the knockout round, but fell short to the Chicago Frogs in the semifinals, unable to find the offensive organization and defensive structure that had served it so well in the prior two tourneys. However, Drinkin’ Park would regain form two weeks later in Cleveland’s Rock n’ Roll 7s, despite the team’s forwards operating on a combined 3-4 hours of sleep. Park went undefeated in pool play, won its semifinal match, and defeated Ohio University to win the tournament’s social bracket. The sevens season was closed out in Grand Rapids, at Rock Hard 7s. Drinkin’ Park was unable to escape pool play, hampered in part by some untimely injuries leading up to the tournament, but the squad of eight that was able to make the trip certainly left it all on the pitch, after which they returned home to celebrate a successful 7s season. All in all, the club is very pleased with Drinkin’ Park’s summer. We would like to thank everyone who played in a tournament, came out to support, or got a run in with us at one of our Tuesday/Thursday sessions, and after a short break, we’ll see you at 15s in the fall!